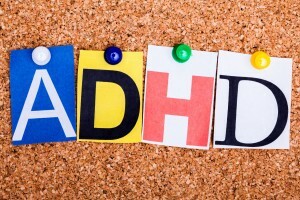 The key components of ADHD incorporate inattention, hyperactivity, and impulsivity. Symptoms of hyperactivity may involve: fidgeting, talking nonstop, playing with everything in sight, constantly being in motion, having difficulty doing quiet tasks, and having trouble sitting still. These are the symptoms that children usually get in trouble for while in class, although they are not necessarily to blame. Symptoms of impulsivity may include: being impatient, blurting out inappropriate comments, showing emotion without restraint, having difficulty waiting for one’s turn, and interrupting others’ conversations often. Many children find having a lack of control extremely frustrating and wearisome. The Journal of the American Academy of Pediatrics explains, “any child 4 through 18 years of age who presents with academic or behavioral problems and symptoms of inattention, hyperactivity, or impulsivity should have an evaluation for ADHD.” It is necessary to do so, because in many children ADHD goes unrecognized, and may interfere with their everyday lives. There is, however, a major risk in misdiagnosing the conditions and providing inappropriate care to the child. According to the National Institute of Mental Health, most children with ADHD are diagnosed with the disorder at around 7 years of age. Inappropriate behavior during early years could be key to identification. Each year, the disorder affects about 4.1% of Americans over the age of 18, and about 9.0% of American children aged 13-18. Boys are four times as likely to develop ADHD than girls, and the diagnosis rate is steadily increasing. Learning these statistics can be frightening as a parent, but it is important not to self-diagnose. ADHD has a high rate of comorbidity. In other words, it is common for children with ADHD to present symptoms of other illnesses or conditions as well. The National Institute of Mental Health states some disorders that have high comorbidity with ADHD include: Oppositional Defiant Disorder (ODD), Conduct Disorder (CD), Anxiety and Depression, Bipolar Disorder, and Tourette syndrome. ADHD may also exist alongside sleep disorders, bed-wetting, and substance abuse. These disorders are separate entities, and will have different symptoms. According to the National Institute of Mental Health, ADHD cannot be cured, but it can be controlled. For many children with ADHD, an effective form of treatment is stimulant medication. Some well-known varieties include: Adderall, Concerta, Daytrana, Desoxyn, Dexedrine, Dextrostat, Focalin, Metadate, Methylin, Ritalin, and Vyvanse. These drugs seem to have a calming effect on children with ADHD, and reduce hyperactivity and impulsivity while improving their ability to focus, work, and learn. They may also improve physical coordination. Stimulant medications are prescribed in either short-acting or long-acting forms, based on each child’s specific needs. Another option is a non-stimulant medication called Stratera. Nevertheless, some parents may feel uneasy about giving their children prescription medications because of their potential side effects, such as decreased appetite, sleep problems, tics, and flat affect. Usually, there is only a small chance of dependence or substance abuse concerning stimulant medications. In addition, The National Institute of Mental Health shows evidence that behavioral therapy may be used effectively in the treatment of ADHD, (alone or in combination with stimulant medications.) Parents and teachers are encouraged to help children control their behaviors by giving them positive or negative feedback for certain behaviors, clear rules, routines, and chore lists. One example is using a Daily Report Card or eDRC. The role of the parent is crucial in promoting relaxation and controllability, and parenting skills training may be of great help to some families. Therapists help to teach children social skills, such as how to read facial expressions and how to respond appropriately in certain situations. According to the Official Journal of the American Academy of Pediatrics, behavioral parent training (BPT) and behavioral classroom management have both proven to show positive effects on children’s behavior. However, behavioral peer interventions (BPI) have produced minimal effects on children’s social functioning and parent ratings. Behavioral interventions may be particularly helpful in children with some, but not enough, hyperactive/impulsive behaviors to meet the full diagnostic criteria for ADHD. All in all, symptoms of ADHD may be debilitating and disruptive to a child’s everyday life. By exploring the possibilities of treatment, both parents and children are given the ability to maintain and treat the disorder accordingly.